Caribeans Coffee & Chocolate in Puerto Viejo is a small family run business that produces coffee and chocolate in a sustainable way. 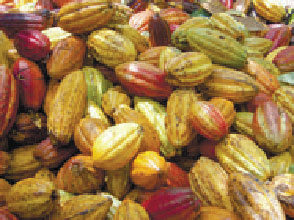 You will be taken on a guided hike through the cacao forest and learn about the history and science of chocolate. You will see how the chocolate is being produced from bean to bar and you will get to taste and smell the different kinds of chocolates. Every Tuesday and Thursday at 10 am and 2 pm. A tour will take about 2 to 2,5 hours. The Oreba Chocolate Tour in Bocas highlights cacao cultivation and production which is quickly becoming one of Panama's most important exports. 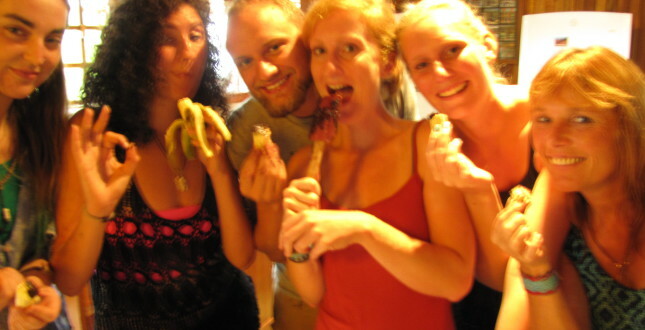 You will also let you experience life in an indigenous Ngobe community!. The local guides are cacao farmers in the community and explain every step of the process, including growing, harvesting, fermenting, drying and ultimately roasting and making chocolate.